Well that sounds good to me. Of course, I never met Marcus. He died a disappointed man in AD 180 aged 59, but I’ve been carrying his book Meditations around with me for as long as I can remember — man and boy — and I was really pleased to hear that he’s made it to the Hi-Tech High Table. He really should also be prescribed reading for just about every business and its Board in every country in the world! Whilst Marcus Aurelius lived an eventful life, being adopted by a future Roman Emperor Antonius Pius and then succeeding him and taking on the laurel leaf crown when he died, he was well into his early fifties before he started to commit his observations and thoughts to paper. But what thoughts and what observations! His writings and the sayings which make up much of Meditations have informed and influenced my practice across a range of professional roles, as well as enhanced my thinking, being and doing in my everyday life. For instance, “Practice really hearing what people say” (Meditations, book 6/para.53) has informed both my coaching and leadership practice and really resonates with the advice of Harvard’s Ronald A Heifetz and Marty Linsky, to get on the balcony and “listen to the song beneath the words” (Leadership on the Line, pg 55, HBRP, 2002). Whilst if you are in want of a personal mission statement or mantra to take you through the highs and lows of life, in my opinion you couldn’t do better than grab onto the following: “Ambition means tying your well-being to what other people say or do. Self-indulgence means tying it to the things that happen to you. Sanity means tying it to your own actions” (Meditations, pg 92). And if you’re trying to get some objective distance in a relationship or a neutral perspective on a problem, you won’t go far wrong if you remember these words: “You don’t have to turn this into something. It doesn’t have to upset you. Things can’t shape our decisions by themselves” (Meditations, book 6/para.52). As you make your way in life and at work and sometimes perhaps you’re not quite sure why the people around you are acting as they do, take note of these words, “Others obey their own lead, follow their own impulses. Don’t be distracted. Keep walking. Follow your own nature, and follow Nature — along the road they share” (Meditations, pg 60, para.3). To be resilient is a key life skill. 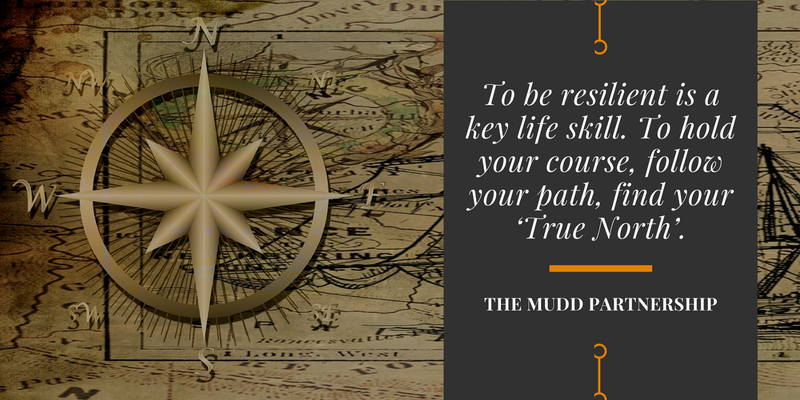 To hold your course, follow your path, find your ‘True North’. These are what can make a real difference to Wellbeing and Well Doing. To become anti-fragile which can best be described as being able to absorb shocks, keep your mental shape and become stronger. To hold in your heart these words of Albert Camus, “Even in the midst of winter, I find within myself invincible summer”. To perhaps even follow those two contradictory principles espoused by the ex-Vietcong POW Admiral James Stockdale — namely, that life can’t be worse at the moment, but someday life will be better than ever. Such notions and thinking are all things that can be used on your journey to become more resilient. Because resilience is something you can develop with practice. It’s something you can work-on and strengthen each and every day. Yes, it takes energy, persistence, savvy and pragmatism — but as Marcus Aurelius would also tell us, no one is going to save you but yourself. To accomplish your goals and achieve all you want, you must keep moving forward, be resilient, act courageously and learn to be not just positive, but also ceaselessly creative and prepared to take on whatever life throws at you. Marcus Aurelius was also very clear that we decide what stories to tell ourselves and just because our mind tells us that something is terrible or a disaster, doesn’t mean we have to agree! This is where the practice of Mindfulness could be so important as part of your daily routine and you can find out more about it here ‘Uncovering Mindfulness: In Search Of A Life More Meaningful’. and in other pieces I’m sharing through ‘Thrive Global’. I can thoroughly recommend Meditations to you as a primer for Life. It’s not just for the workplace, Silicon Valley, or the Board room. Get yourself a copy and then commend it to a friend or colleague. Perhaps in a future piece I’ll introduce you to another old friend of mine, Seneca (c 5BC — AD65) and what he had to say on the shortness of life, or as he put it “Life is long if you know how to live it”. A thought which Marcus Aurelius would I think have wholeheartedly agreed with, as he was also a great proponent of flipping obstacles upside down and seeing them as windows of opportunity. Meanwhile if you have any words of wisdom from the ancient philosophers and thinkers by which you try and live your live, I’d love to hear and share them with a wider audience.